Sunspots. Scheiner's observations of the passage of a sunspot across the solar disk, May 1625. 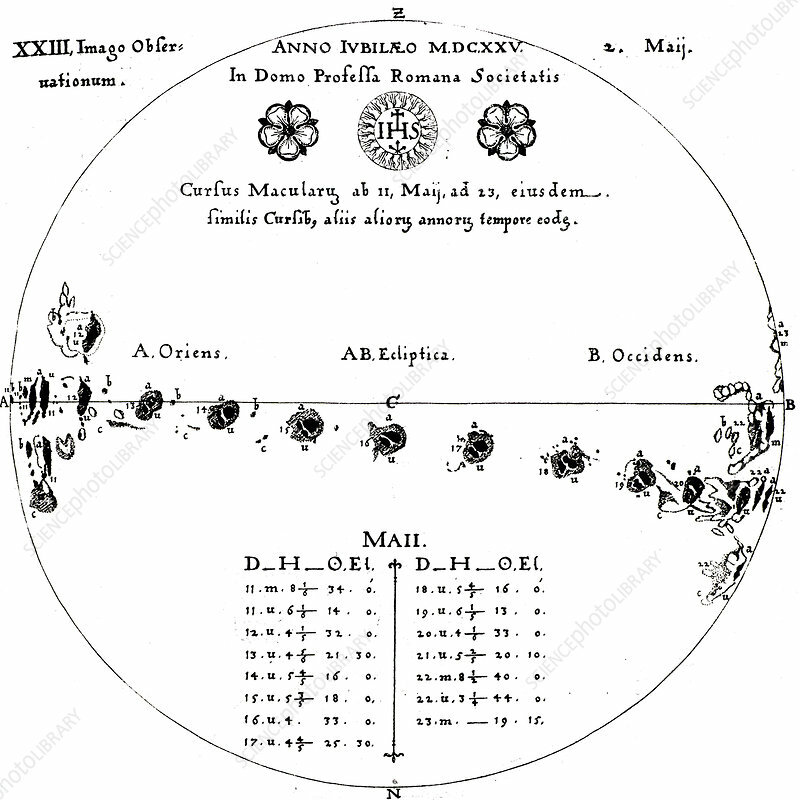 From Rosa Ursina by Christoph Scheiner (Bracciano, 1630). Engraving.